Gandinagar, Nov 22: Putting an end to the logjam over thecandidate from Botad in the Gujarat assembly elections, the Congress on Tuesday replaced Manhar Patel, an NCP defector, with D.M. Patel. The Patidar Anamat Andolan Samiti (PAAS) had objected to Manhar Patel and the issue had created a near-rift in the alliance with the Congress for the elections. Under pressure from the PAAS, on Tuesday evening, the Congress declared D.M. Patel as the candidate from the seat. 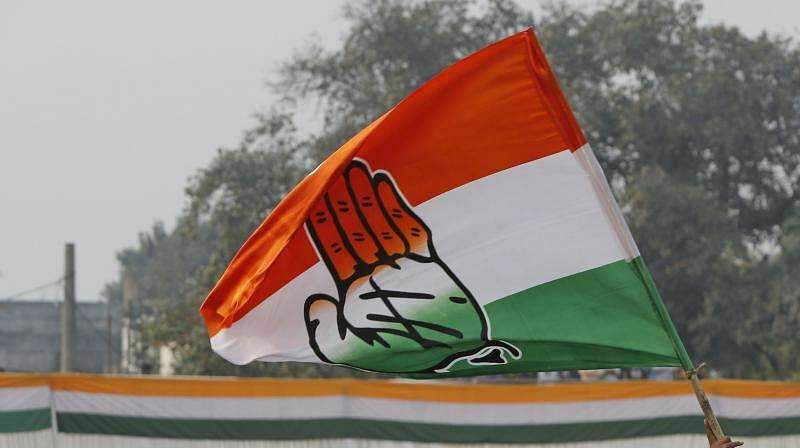 The PAAS members had opposed the candidature of Manhar Patel, saying he was not even a proper Congress member, an outsider and had defected from the Nationalist Congress Party (NCP). The PAAS had even threatened to support the third front if Manhar Patel was not replaced. Earlier in day, Patidar leader Hardik Patel called off a press conference after differences cropped up between the two sides over the Botad assembly constituency. After a meeting with PAAS leaders and agreeing on the reservation demands, the Congress had hoped it had overcome the disagreements between the two sides. But the PAAS remains unhappy. The Congress had to accommodate two more Patidar faces in its second list of candidates announced on Sunday. After that, Hardik Patel was to make a formal announcement regarding the community's support for the Congress in the Assembly elections. But the trouble over Botad seat erupted. Meanwhile, the Bharatiya Janata Party (BJP), which had announced 181 candidates for the 182 assembly seats, announced that Piyushbhai Desai will be the nominee for the Navsari seat in tribal-dominated southern Gujarat. The tribal groups were demanding their representation from the saffron party but the BJP has not relented.